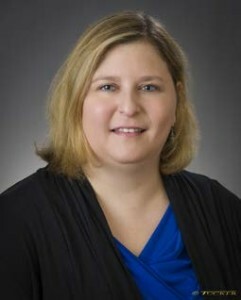 Danielle Gutter serves as Vice President of Trust Operations at PTC. In this role, she leads all aspects of the firm’s multiple technology platforms including implementation of new software releases, all elements of data security, & disaster readiness/recovery. Danielle manages all facets of daily Trust Operations including quality control of all transactional processing, reconciliation of multiple custodial relationships, revenue collection & audit, and compilation of account census data for regulatory filings. Additionally, she invests a significant portion of her energies in global process improvement initiatives to continue to improve the overall PTC client experience. Finally, she serves as PTC’s AML/BSA liaison reporting to PTC’s AML/BSA Officer for this critical function. Danielle joined PTC in 2003 just after it was acquired by LPL. Prior to joining PTC, she worked for American Guaranty & Trust and The Capital Trust Company of Delaware in hybrid roles in both trust operations and trust administration. Danielle has a Bachelor’s of Administration with a specialization in Finance from The Ohio State University. She is a Certified Securities Operations Professional (CSOP). Danielle resides in Cleveland, Ohio with her two dogs, Oscar and Poppy.